Assyrians who still harbor some hope for positive developments in the future of their cause turned their attention to London the second weekend of Tammuz. This was in order to receive some signals of change from an important congress of the Assyrian Universal Alliance (AUA) and ascertain how AUA might adapt itself to the rapidly changing political circumstances. It must be said at the outset, that one organizational hurdle was cleared, albeit late and overdue, when the reins of the AUA were turned over to a younger General Secretary. Congratulations are in order to Dr. Emanuel Kambar. Dr. Kambar as a native of Iraq brings to his new position a keen understanding of the political realities of that country. His past association with the Iraqi political opposition, and the fact that he was one of the handful selected as “frontmen” by the U.S. State Department (in March 2003) suggests the possibility that AUA might finally be determined to take on an important role for pushing our National Question in Iraq. This is positive and consistent, because since its establishment in 1968 – with roots going back to See’ta Sepreta (Assyrian Youth Cultural Society of Tehran)- Huyada (Unity) has been seen as the engine behind the formation and expression of modern Assyrian nationalism among our eastern Assyrian communities. Over the years, it has been the fulcrum of Assyrian patriotic thinking in the Diaspora with special emphasis to North America. 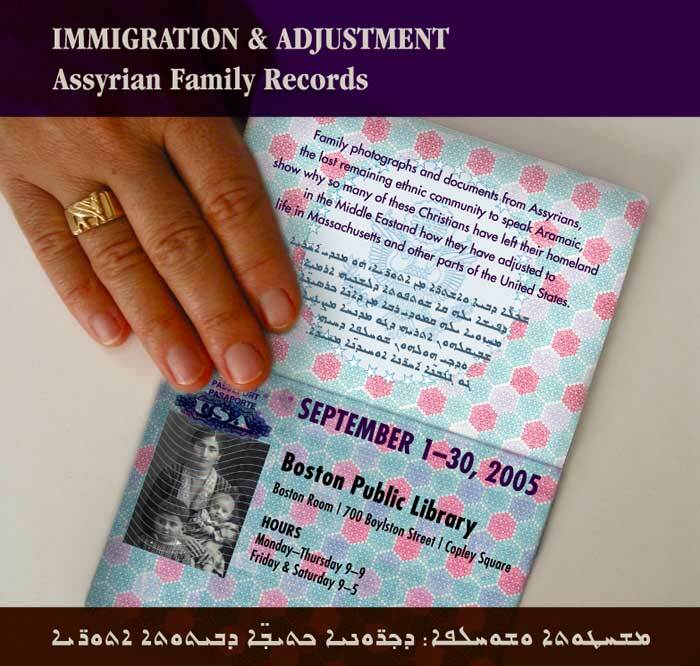 It attracted the affiliation of the Assyrian American National Federation and, to a limited extend, the Assyrian cause was made visible for the U.S. Administration in Washington, and for some of the United Nations agencies. Because of its worldwide activities it attracted the attention of some Middle Eastern governments, even becoming the target for their Intelligence in the 1970s. During the same decade of the 1970s, while the Assyrian Democratic Organization (ADO) was spreading its basis in Europe, ADO activists naturally placed great hopes in the AUA as an international advocacy organization. In fact, although never formally affiliated with the AUA, ADO over the years has been one of its most active partners. Indeed, Malphono Ninos Aho, an early ADO activist, was in attendance at the recent London conference, and his persuasive appeal to the delegates might have helped facilitating the succession in the leadership. An example of the enduring cooperation between ADO and AUA began in the end of 1980s, when ADO was invited as an ethnic group to become a member of the UNPO, which was then in formation. ADO immediately called AUA to share this important representation. One of AUA’s important roles has been to maintain national links between the Western Diaspora and our communities in Iran, Russia, Georgia, Armenia, and Azerbaijan. Afterwards this approach has been adopted by other organizations as well, though less successful. Such a role was essential as long as the Iron Curtain was separating Europe. With the collapse of the Soviet Union, the spread of Internet and progressing globalization, this role became less critical. But aside form this, the AUA pushed a broad Assyrian political agenda, from seeking formal recognition of the Assyrian Genocide to securing an Assyrian homeland. In fact, the first official recognition of the Assyrian Genocide was recorded in 2002 by the Regional Government of New South Wales, and credit for this achievement goes to the Australian branch of the AUA. But in reality, with the rise of various new Assyrian political parties over the 15 years, AUA’s role as an umbrella organization has become less vital, hence its influence has ebbed. This erosion has been accelerated by an internal power struggle over the future direction of the organization, i.e. whether to remain simply a national umbrella, or whether to become a pure political party. While the first objective was never fulfilled, the latter contradicted with its mission to attract other Assyrian political groups to gather under or around its umbrella. A girl holds up a picture of herself and her dead brother as she stands at a make-shift memorial while the nation observes three minutes of silence for victims of last week's bombings, in New Baghdad, an eastern district of the war-torn capital. (AFP/Ali al-Saadi). The changes in Iraq as a result of the first Gulf War swept the Assyrian Democratic Movement (ADM) to the surface. In short order, ADM received the immediate support of the major Assyrian international organizations, such as ADO and AUA. Over time, as ADM was gaining status as a representative of the Assyrians in the no-fly zone of Northern Iraq, so did AUA’s umbrella role purportedly encompassing Iraq recede. Realistically AUA lacked any kind of presence in a part of Mesopotamia where the Assyrian Question was at play. AUA’s marginalization became even more obvious following the fall of the Saddam Regime and the evolution of the ChaldoAssyrian position during Iraq’s transition period. It was now little more than an observer. The changes at the recent AUA congress occur in a key moment, as Iraq works to create its new legislative and administrative institutions. The ChaldoAssyrians face severe external and internal challenges threatening to reduce them to a historic footnote. The time is short, as the draft constitution will be completed by August 15, with a ratifying election scheduled for Mid-October. Unfortunately, ChaldoAssyrians have already missed the boat on several key funding milestones, ranging from the former U.N. oil-for-food program monies to the vast sums (mostly U.S.) which have been poured into the effort to rebuild Iraq and prepare it for democracy. Similarly, we risk being squeezed out of any fair share of the oil wealth of the Mesopotamian plain. Adding to the dilemma is the fact that ChaldoAssyrians are divided into varied political factions, each camp lacking a critical mass and resources to influence the course of events. Indeed, this division has opened the way for outsiders to manipulate some of these factions as collaborators. In more normal times such development would be a sign of pluralism and vitality. But these days are anything but normal, hence over-diversification is causing weakness. It is unfortunate, that most of the ChaldoAssyrian organizations will not have the luxury of sufficient time to go through the learning curve of political maturity. Those with some level of maturity and political experience, like the ADM with a record of modest achievements, have received support and funding for years, yet have been unable to develop a political agenda which can attract our people in Iraq on a broad basis, across major regions where they are settled. The contrast to the Kurds is dramatic and telling: For years, Kurdish factions fought and killed one another, yet in the end they joined to form a formidable united front, thereby maximizing their political reach in Iraq’s first popular elections. ChaldoAssyrian political parties were incompetent in forming a unified front and to ensure a proper representation prior to the first election in the country. The January 2005 elections represented a major disaster for our people and this underlines the urgency of forming a united ChaldoAssyrian front in order to assure fair representation in the upcoming election. We can ill afford incompetence or lack of discipline in a fast-evolving political arena. A credible home-grown (of the caliber of the late Francis Shabo assassinated in 1993) is the best insurance to protect our people from militant Islamism, and generally for steering our people in the right direction. It is not an exaggeration to say we are facing a national urgency. Every ChaldoAssyrian political organization must grasp this truth, and ignoring it means risking further disasters. After the elections, it was fashionable to attribute our electoral catastrophe to certain external factors, particularly the threats by Islamist extremists, Kurdish dirty tricks in the Nineveh Plain, and a woefully anemic turnout at the polls by ChaldoAssyrians in the Diaspora. They partially diverted our attention from what we should have under our control. What is urgently needed is a look inward to help us understand what produced this fiasco. We have often blamed our forefathers for failing to seize historic opportunities, but now the ball is in our court. In general ChaldoAssyrians worldwide are tired of political declarations detached from reality on the ground in Mesopotamia. It is worthwhile in this connection to go over certain AUA statements about Iraq, to see how the organization addresses some discrepancies, and how it intends to proceed to accomplish its stated agenda. While this is a bold approach, it is also clear that most of our locally active organizations in Iraq - ADM included - hesitate to use the term Assyria. While propagating an abstract Bet-Nahrain as homeland, they confuse it often with “Kurdistan” and hence accept displacement and Kurdification through appropriation of land as a fact. Particularly since the U.S Census of the Year 2000, the name issue has emerged as an Achilles Heel. Solving the questions appears as difficult as unitying the Gordian Knod. The dilemma is rooted in large measures in the historical labeling of our people (under Ottoman Millet System) according to their religious denomination. For years, nationalist-minded Assyrians lamented the failure of our church leaders to unite doctrinally, despite a common origin and faith today. Today, we debate over semantics and single national nomenclature, while in the process we lost the focus on the key motivation of such a unity. The debate is pursued with abandon and in public, alienating or marginalizing various segments of our people. A pragmatic approach enunciated at the 2003 conference under the slogan "Our Unity and Our National Rights in Iraq" (see the Chaldean Syriac Assyrian General Conference, Baghdad, October 22-24, 2003) resulted in our recognition under the ChaldoAssyrian label by the TAL. Unfortunately, this approach has been questioned not only by some clerics of the Chaldean Church, but similarly undermined by extremists from the Church of the East. This subject has aroused considerable dispute, and it has became clear that Assyrian organizations have lost some credibility in their dealings with the U.S. Administration because of the different positions postured by the exile organizations in contrast to those of the homeland groups. This issue was also highlighted in a recent debate in the British House of Common. This is a matter closely linked to the definition of “the Homeland”. In one way or another most of our organizations in Iraq have been taking an opportunistic approach on this. No one seems interested confronting the Iraqi Kurds openly about it. Taking the recent London declaration at face value would suggest that the AUA delegates and the new executive board are prepared for greater hands-on involvement in several regions of the homeland. If so, it will require greater cooperation than we have seen before with the home-grown groups. I remain convinced that the most urgent task is to become active in the Iraq situation, since we are obviously running out of time. In view of the timetable, it may already be too late for the AUA to have any impact on the course of events. 1) The establishment of a unified front (aka National Front) and the creation of a credible leadership by the active political organizations in Iraq. ADO was instrumental for preparing Baghdad Conference of 2003 which created an executive board. But the objectives of the conference were quickly undermined, in some instances with malicious intent. Early on Chaldean Church leaders complained about the lack of political leadership and coordination. Had this warnings not been ignored, we might have averted the electoral debacle of last January. While we recognize some ChaldoAssyrians in Baghdad and elsewhere failed to cast a ballot out of fear, we must also accept the general apathy engendered in many due to the low expectations about their leadership. 2) At the earliest possibility, AUA and ADO should jointly assist in organizing a second “Baghdad Conference”. Although ADO and AUA should remember their role as that of intermediary. The two organizations still enjoy enough credibility among the various groups in Iraq to convince the staying of such a meeting. 3) It is a priority of the highest order that ChaldoAssyrian rights must be embedded in the upcoming constitution. This should encompass proper representation, equitable access to resources, and related issues. To this end, it is essential that we synchronize our efforts with the ChaldoAssyrian members of the constitutional committee. We must all be on the same page. 5) Last, but certainly not least, steps must be taken to regain the confidence of the U.S Administration. Zinda: Abdulmesih BarAbrahem is one of the pioneers among the Assyrian activists in the Diaspora. In Autumn 1972 he organized with friends the first public Assyrian event (The Assyrian Evening) in the city of Würzburg in West Germany; AUA founding witness Dr. Sanharib Hanna of Mtakast and the late Ibrahimi of AUA were invited to this event. In Spring 1986 he was invited as a guest speaker to the AUA Congress held in Modesto, CA to speak about the situation of the Assyrians in Europe. Political writing is technique and science. Methodology, examining & analyzing facts, concluding and recommending solution for the current problems & expected political issues are the essential factors of any political writing. In September 2002, I wrote an article under the title of “A CALL FOR A NEW AUA SECRETARY GENERAL” published in Zinda (September 30, 2002), in which I examined the disability of AUA in acting as a major national organization, citing several reasons and in particular the shortcomings of its Secretary General. In September 2002 the Iraqi issue and the shaping of a viable approach was front and centre. It was obvious that the major players, i.e. the USA and the UK were determined to remove Saddam and his dictatorial regime from power. The fate of Assyrians was up for speculation. Assyrian political parties and organizations, particularly in the Diaspora, were floundering and running in whirligig around the metaphysics of Assyrian national rights without any practical steps of achieving the minimum national requirement or supporting our unfortunate brothers in Iraq. The “Call for a new AUA Secretary General” was just a logical voice and a reasonable idea to put AUA on the right national track, activate its moribund condition, and act as “umbrella” for our nation at that critical time. Unfortunately, no initiative was taken. A couple of months later, in April 2003, the expected occurred. Saddam was removed, the USA and coalition forces liberated Iraq and in due course, the Iraqi Assyrians were lost in the Iraqi Tsunami. None of the Assyrian political parties and organizations, including AUA, was prepared for the expected event. Assyrian political experience shows that we usually cry after losing the excellent opportunity of achieving a national goal. We are perfect in copying the Arab mentality in politics, i.e. Instead of acting proactively, we only react. Now, three years since that Call, the AUA has elected its new Secretary General Dr. Emanuel Kamber. This is known in Political Sociology as “Tardy Consciousness”. There was a critical need for an AUA secretary general with Iraqi background prior to Saddam’s collapse, so that this person might play an active role in helping shape our future there. By now, many important changes have transpired. The Iraqi political process, including the writing of the constitution has nearly run its full course, yet the fate of Assyrians has yet to be seriously addressed. First: He should dispense with the presumptuous idea that AUA is the leader of the nation, to cease considering AUA and acting as political party competing with the others for a seat or post. AUA is a coordinator body and should act as the same. 1. While there exist many Assyrian political parties and national organizations in Iraq, of course excluding AUA, the Assyrian Democratic Movement (Zowaa) is by far the predominant one. At the official level, Mr. Younadam Kanna, the Secretary General of Zowaa is the key representative of the Assyrians and Christians in Iraq. 2. The issue of our national name is the main irritant for our nation and our political parties. The warriors of Assyriansim and Chaldeanism supported by denominationalism are tearing our nation apart, causing it considerable damage and hindering unification efforts. Politics consists in part in an effort to reconcile extremely polarized positions. The voice of compromise tends to be more rational and, in the end, more likely to succeed. The compromise term “ChaldoAssyrian” for our national name under current circumstances will be the winning choice. Setting aside our narcissist egos the term “ChaldAassyrian” has henceforth officially become the name of our nation in Iraq. This is our name in the upcoming Iraqi constitution, confirming it is a fait accompli. This is my brother destiny in Iraq not mine in the UK. Dr. Kamber would be well advised to accept these realities in good faith, if he is to have any hope for success with regard to the current situation of our nation in Iraq.Be that as it may, I feel strongly that Dr. Kamber is the right choice for this AUA position and the challenges it offers. Readers who wish to learn more about Dr. Kamber’s personal background are urged anew to refer to my aforementioned Zinda article, “A Call For A New AUA Secretary General”: Click Here (refer to second article). The replacement of the former Secretary General of the Assyrian Universal Alliance, Senator John Nimrod, was a victory for AUA, and a wish came true for the staff of Zinda Magazine, and for Mr. Aprim Shapira. Long time ago; both of them had called for the replacement of Senator John Nimrod. At which time, I responded to their call by stating, "No outsider has the right to call for the replacement of the Secretary General of the AUA;" because AUA has the most democratic way of electing its Secretary General. Therefore, any other way would have been unbecoming to AUA'S principles of democracy. The fifteen members of it's Executive Board are elected by the majority of the votes of the delegates attending the Congress from different countries. Then the members of the Executive Board in turn would elect the Secretary General. Allow me to remind you that it is not new in any democratic system; for a Party to have a political machinery that controls the majority of the votes of their party. And it could not be denied; Senator Nimrod, as a politician, had his ways of monopolizing the votes to his favor. But this time, the machinery of Senator Nimrod was dismantled, not because of his disqualification, or his disloyalty to AUA, but it was done because of his advancement in age. All the attendees of the Congress loved Senator Nimrod, respected him, but they put the interest of the AUA above their own feelings toward him. It is worth mentioning that at this Congress, a Constitutional amendment, was adopted, by which the term of holding office in the Executive Board of the AUA was limited to, only, Two consecutive terms. That way, no one can do what Senator Nimrod did. Hold the office for more than two terms. However, the wish of Zinda Magazine's staff, and of Mr. Aprim Shapira came true. The Secretary General, Senator John Nimrod was changed. Furthermore, Mr. Shapira's wishes were three. First, the change of the Secretary General of the AUA. Second, a person from Iraq to be the Secretary General. and the Third was; Dr. Emanuel Kamber was his preference. That has happened, therefore, I say, congratulations to both of you. But I, as a firm believer in the principles of AUA, one of which is to bring about a leadership for our people. Unfortunately, the many attempts made by AUA, were not successful. To mention, the one that took place, during the term of the late Aprim Rayis, as Secretary General of the AUA An agreement was reached between AUA and the Bet-Nahrain Democratic Party. Under the name of QADMA to work together on issues related to our National Cause. It was agreed that any action on any issue related to our National Cause must be with the agreement of both sides. QADMA did not last long; because the Bet-Nahrain Democratic Party, breached its agreement with AUA; by communicating with the Syrian authorities, without the knowledge of AUA, to be allow to open an office in Syria, from where they can have contacts with their members across the borders, in Iraq. The sole communication of BNDP with the Syrian authorities was contrary to the agreement between BNDP and AUA, therefore, caused the dissolution of QADMA. During Senator John Nimrod's term, AWYOOTA between Assyrian Democratic Movement, Assyrian Democratic Organization, Bet-Nahrain Democratic Party, and the Assyrian Universal Alliance was established. Also it was not successful; because each side use the AWYOOTA to their end. However, the Secretary General, of the AUA, Senator John Nimrod, did not work sincerity to bring about a leadership. He struggled for the leadership. He used the policy of divide and control to fulfill his ambition. Any time there was disagreement between him and the leaders of the AWYOOTA, he declared that the Sub-parties, which where the off spring of the Major Assyrian Parties, have expressed their readiness and willingness to become affiliated with the Assyrian Universal Alliance. In which case he claimed that he was speaking on behalf of all those Assyrian Parties while the others were just a few. Be it known the affiliation of the Sub-parties with AUA did not happen. The same tactic has been used by Mr. Sargon Dadesho. Encouraging those Sub-parties to work against the leadership of ZAWAA. Though, Senator Nimrod when it came to taking a stand, he always supported the leadership of ZAWAA. In the Iraqi Opposition Group meeting that was held in New York, Senator Nimrod gave a letter of support to Mr. Yonadam Kanna, because he was the only representative carrying the Assyrian Identity. The Assyrian Democratic Movement, but the rest of the representatives; namely, Albert Yalda, Yatron Darmoo, and Dr. Emanuel Kamber claimed Neutrality. At which time Senator Nimrod became very furious and said, " There isn't such thing, as NEUTRAL" But they did it, because the three of them were members of the Iraqi National Council since 1992, as Iraqi individuals; not as representatives of any Assyrian Organization or Party affiliated with the Iraqi National Congress. As well, Mr. Sargon Dadesho, as an individual, was a member of the Iraqi National Council. Had the three Assyrians claimed otherwise, they would have lost their connection with the Iraqi National Council. So they preferred keeping their connection with the Iraqi National Council on their connection with the Assyrian Organizations with which they were affiliated. I also would like to shed some light on what happened at the meeting, that was held in London, on Nov. 01 - 03, 2002. Mr. Fawzi Toma in his E-mail to Senator John Nimrod had stated, "I always knew the outcome of the discussion with the opposition and I gave you the list of names well in advance," Mr. Toma also stated in his E-mail to Mr. Hermiz Shahin, the Secretary of the Australian Chapter of AUA, that the only Assyrian representative at that meeting would have been Mr. Yonadam Kanna, the Secretary General of the Assyrian Democratic Movement; had not been for his effort in talking to Mr. Masoud Barazani and Dr. Jalal Talabani and convince them to have other Assyrian representatives participate in the meeting of the Iraqi Opposition Group, otherwise none of the others, including Senator John Nimrod, would have been allowed to participate in that meeting. In my respond to Mr. Toma, I stated that his action was not to the interest of our Nation. And the leaders of the Kurdish parties did it, because it served their interest not Assyrians'. And the outcome was very bad. Instead of having a recognition of an Assyrian political Identity, through the ADM, we were acknowledged by representatives from the Assyrian Communities. Mr. Fowzi Toma, and the two major Kurds parties played their role to increase the number of the Assyrian Representatives, knowing the more the representatives there are, the more disputes there will be among them. Like it happened. Our Assyrian representatives spent two day arguing on who should participate in those meetings. On the third day, which was the last, they reached an agreement on who should participate. The participants were so excited by their participation; that they forgot to raise objection to the incorporation of the religion, Islam, and the ethnicities, the Arabs, and the Kurds in the drafted constitution. The least they could have done was to walked out of the meeting in protest to that. When they all preached for a Non-sectarian constitution. In accordance with the ideology of AUA, which is to bring about a leadership for our Nation, AUA should not enter into competition with our parties in our Forefathers Homeland for the leadership in Iraq. It should strive to establishing a COUNCIL consisting of representatives from all of the parties in Iraq. Let them work together, and show our enemies that our Parties can work together besides of their differences. AUA should not encourage the division of our people, from which none of them will benefit. Its role must be played from outside of Iraq. To lobby the support of as many countries as possible to make them sympathetic to our cause. It is then, when AUA has fulfilled its obligation as a true Assyrian leadership. (ZNDA: Baghdad) The third meeting between the various Syriac-speaking Christians of Iraq to discuss the name issue took place on Friday, July 15 at al-Mashriq Club in Baghdad. Many political parties, institutions, and church representatives that had attended in the prior two meetings were absent. The second meeting had in fact left a clear message to everyone that the two opposing groups were not going to reconsider their plans. The speeches clearly asserted the two emerging groups: the first group represented those who stressed the unified title, while the second group represented the path of separation. In the midst of this fragmentation and chaos, the meeting adjorned in less than two hours and it was decided to hold one final meeting on 21 July 2005. In that meeting the heads of the various political, cultural, and civic groups, and churches were asked to attend. At the end of the third meeting it was evident that there is a slim and bleak chance for progress, unless non-Kurdish Iraqi groups or the Americans would interfere. On Monday, July 18 representatives from the Syriac-speaking churches and political and cultural groups met for the fourth time at the Ashurbanipal Society Hall in Baghdad. The meeting lasted for three hours. The following three members of the Iraqi Parliament attended: Younadam Kanna, Nuri Potrus 'Attoo, and Abd al-Ahad Afram. Among the attendees were representatives from BNDP, APP, ChaldoAshur Communist Party, cultural institutions, and independents. The only church represented was the Ancient Assyrian Church of the East (Old Calendar). Mr. Nuri Potrus pointed out that a proposal was submitted in the Iraqi National Assembly to mention the Chaldeans, Assyrians, Suryan separately in the future Iraqi constitution. However, the proposition was withdrawn later and was not debated. Mr. Johnson Aghajan, of the ChaldoAshur Organization - and the Iraqi Communist Party, and the current Minister of Finance in the Kurdish Regional Government, criticized Mar Delly, patriarch of the Chaldean Catholic Church for asking to include the Chaldeans as a separate ethnic group in the constitution and considered His Beatitude's action as an effort to divide the Syriac-speaking people. Mr. Fuad Bodagh of the Chaldean National Congress (CNC), criticized Aghajan for his statement that Chaldean ethnicity and nationality was "made-up" and gave his reasons to prove otherwise. He then questioned Aghajan for accepting the Chaldean ethnic title during an earlier meeting of the eight political organizations. Mr. Hikmat Hakim's speech was in line with Bodagh's and stated that the Chaldeans make 80% of the Christians in Iraq and that they possess academic, scientific, and financial influence inside Iraqi and abroad. He then inquired about the use of the title Chaldeans as a reference for all Syriac-spekaing constitutuents for the time being in the constitution. Mr. Younadam Kanna of the Assyrian Democratic Movement explained the process of deliberations inside the Constitutional Commission and explained how hard it was for any Syriac-spekaing representative during the discussions. He pointed to the letter of the Council of bishops of Mosul in which they approved the ChaldoAssyrian title. He distributed a copy of the letter to the attendance. Mr. Kanna stated that others have supported the letter, including patriarch Mar Delli, Mar Ibrahim Ibrahim, Mar Shlimon Warduni and others. Mr. Abd al-Ahad Afram of the Chaldean Democratic Union Party stressed on the acceptance of athe Chaldean ethnicity. He emphasized the separation of the two names, Assyrian and Chaldean, as two seprate ethnicities. He stated that the compound title represents people and not ethnic and national titles and that he was against such titles. Mr. Kaiser Odisho of the Assyrian Patriotic Party (APP), criticized all those who were bringing their own references to achieve narrow personal and organizational benefits at the expense of our people. He criticized those who at one time were supportive for unity with the compound title but were now referring at it as something that was affixed on them by others. He stated that the APP is supportive of the title (Chaldean Suryani Assyrian) and that the APP will not participate in further discussions. The participants did not reach any acceptable compromise and departed until further notice. (ZNDA: Baghdad) Yesterday, 22 July, gunmen fired on a car carrying the newlyweds who were married last Wednesday and their families, killing the bride while wounding her mother, groom and driver in the southern Dora neighborhood, of Baghdad according to police and medical officials. The driver and friend of a wedding party, Marcel Ishoo (pictured here) received treatments for wounds after the car he was driving was attacked by unknown gunmen. The bride, Salay, 22, and her groom, Wisam Abdul Wahad, were marreid last Wednesday and were being driven by an Assyian friend throught the Dora district of Baghdad, when a group of unidentified men attacked their car. 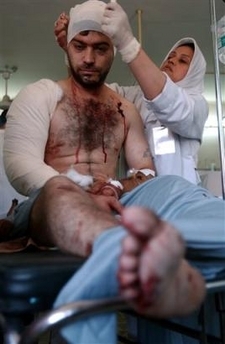 Mr. Wahad, 24, an Iraqi army captain, remains in the Yarmuk Hospital in Baghdad. Last week over one hundred Iraqis were killed in several attacks in Baghdad and elsewhere in Iraq, twice as many as those killed in the attack on London's underground metro of a few days earlier. Bishop Andraos Abouna expressed his concerns that this new constitution could also include automatic discrimination against non-Muslims. (ZNDA: London) The long-awaited constitution now being prepared in Iraq could effectively turn the country into an Islamist state, warns the auxiliary bishop of Baghdad. In a letter presented July 14 to the British branch of the Catholic charity Aid to the Church in Need (ACN), Bishop Andraos Abouna expressed his concerns that this new constitution could also include automatic discrimination against non-Muslims. The letter was signed by the leaders of nine Christian denominations, and it makes a desperate plea for equality of all religious groups. Underlying the leaders' concerns are reports that Shiite Muslims -- Iraq's largest religious group -- are pressing for a permanent constitution that enshrines Shariah, or Islamic law. The Church leaders are fearful that their faithful could become victims of the discrimination and persecution that Christians face in other places where Shariah is imposed. (ZNDA: Damascus) Seated in his parish office, Father Sarmad Yousef reflected on his hard choices: to disobey his archbishop by remaining in Syria or to return to Iraq, where his name has appeared on a death list. "After the Americans came, I was one of the people telling the Iraqi Christians not to leave," he said. "After the violence started, I stopped telling them that." Father Sarmad Yousef, who left Iraq when he learned that his name was on a death list, celebrates Mass in Damascus. Photo by David Thorne, special to the San Francisco Chronicle. Christians all over Iraq face a similar dilemma as relentless violence engulfs the country, some directly targeting them. Staying in the midst of the threats is dangerous, yet leaving means abandoning communities, church property and a heritage with centuries-old roots. Before the U.S.-led war, roughly 750,000 Christians lived in Iraq, out of a population of 25 million. Most were Chaldean and Assyrian, but there also were Armenian, Jacobite and Greek Orthodox Christians and a small number of Protestants. Most of them lived either in Baghdad or in northern Iraq around Mosul. 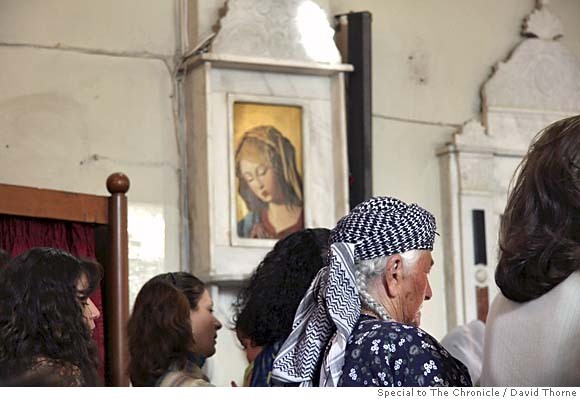 Since then, 15,000 to 20,000 Christians have fled to Syria, according to Christian groups, out of "about 700,000" Iraqis, most of them in flight from the war, according to the U.N. high commissioner for refugees. Yousef, a 30-year-old Chaldean Catholic who came here in August 2004, was the parish priest of Baghdad's St. Pathion Church, with 800 families under his stewardship. Today, he occupies a simple office in Damascus, decorated with small portraits of St. Therese, the patron saint of his new church, cradling a bouquet of pink roses. He says he actively supported the United States when coalition troops first entered Baghdad in April 2003 and helped organize community meetings on their behalf. Such support came with grave risks, and he narrowly missed two drive-by shooting attacks. But when the Abu Ghraib prison scandal came to light, Yousef says, his view changed. Nor was he alone. "Before that, Iraqis loved Americans," said Yousef, his eyes lowered. 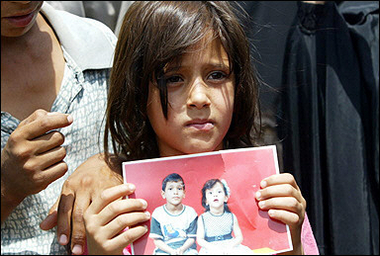 "Directly after that -- those photos, that scandal directly destroyed the dignity of Iraqis." 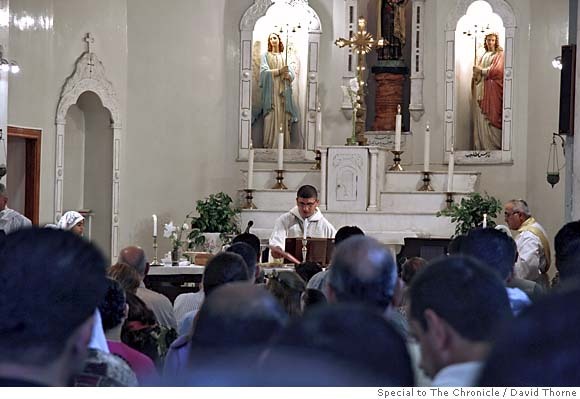 Muneeb, an Iraqi Christian parishioner of St. Therese who didn't reveal his last name because he said he did not want to attract local attention, said general resentment toward the Americans was transferred to Iraqi Christians. "Americans are Christians," he said, "so we're automatically considered to be part of them." Christian-owned liquor stores and beauty salons were attacked. While kidnapping has soared -- both for terrorism and financial gain -- Christians felt particularly targeted since they are often associated with successful businesses and financial support of families living abroad. With the rise of Islamic militancy, Muneeb said, his sister, a doctor, was ordered to wear a veil outside her home -- a requirement that didn't exist, he said, when Saddam Hussein was in power. "I never thought of leaving Iraq," Muneeb said. "But as a minority, we have no support." Emmanuel Khoshaba, a member of the Assyrian Democratic Movement, who regularly commutes back and forth to Iraq, is more optimistic. Through his job as the movement's Syrian representative, he promoted Iraq's Jan. 30 elections among absentee voters in Syria. "Don't see the glass half-empty," said Khoshaba, who is the organization's Syrian representative. "Now, we have rights: We have our names, we have members of the National Assembly, and we have 35 schools that teach Syriac." Under Hussein, teaching Syriac -- the language used by Assyrians and other Iraqi Christians, and one of the Middle East's oldest languages -- was strictly forbidden. "We have coexisted for thousands of years," Khoshaba said. "The problem was the repressive regime, and today we are in a transitionary stage. But one has to stay and sacrifice something for it." There have been many examples of such sacrifice. At St. Therese, in Damascus, Syria, about 90 percent of the parish's 2,000 families are Iraqi refugees. One Sunday last August, a spate of bombings that struck five churches in Baghdad and one in Mosul left 11 dead and scores wounded. Yousef's church was spared, but he said Iraqi Christians increasingly had started to leave soon after. When Yousef took a previously planned trip to Damascus, he learned his was one of 18 names on a death list. Thirteen of those people had been killed the previous month. "I decided not to go back -- I felt that I was too young to die," said Yousef. He left behind friends, family and his parish. The archbishop of Baghdad instructed him to return to his post, but he stayed in Damascus to fill an opening at St. Therese. Yousef's new church, wedged within Damascus' Old City of cobblestone streets and crumbling houses, overflows with worshipers during Sunday Mass. Of the 2,000 families now connected to St. Therese, 90 percent are recent Iraqi refugees. Just outside the church doors, a group of parishioners from Yousef's old Baghdad parish discussed how their lives have changed. "Life was better -- we didn't have any problems," said Jamila Tama, referring to the relative peace between religious sects under Hussein. "There's killing, bombing and kidnapping. We have nothing now -- even our house is sold." Her son, Bassam Bahnam, was grateful for the haven in Syria. "But I have three boys who worked in Baghdad, and they're all unemployed now," he said. Bahnam and his family want to return to Iraq -- when the violence ebbs. "Of course there's no place like home," said his younger brother, Hisham Bahnam. But he criticized Christian leaders' calls to stay in Iraq. "They're asking us to stay, but they're not giving us any solution," he said. "Even Christian leaders need an army to protect them whenever they go outside." George Abona, a former priest who attended a seminary with Yousef, agrees. "When my Christian leaders say, 'Don't leave your heritage,' what are they going offer me?" he said. "What will heritage do for me and my son?" In Iraq, Abona worked for the United Nations for seven years, before and during the war, and was in its Baghdad compound when it was bombed in August 2003. He survived, but the blast killed his brother, along with the top U.N. envoy in Iraq, Sergio Vieira de Mello, and 20 other U.N staffers. Then last October, he was kidnapped for 19 days. He was released after another brother paid a $20,000 ransom. Despite all that, he said, "The security issue is not a big issue -- it's that I'm not ready to raise my son in an extremist Islamic society." Syria has relaxed immigration rules for its Arab neighbors. But aside from Palestinians, refugees are not allowed to hold jobs in Syria, forcing most Iraqi newcomers to live off their savings. Government assistance -- especially health care -- is limited, and the refugees must return home periodically to get their temporary visas renewed. Yousef tries to provide his new community in Syria with food and money for medical needs. The main reason he and other Christians have fled Iraq, he said, is "because we don't feel it is our country any more." "I have bad memories now," he said of events since the invasion. "Most of my friends were killed there, and we only saw cruelty and blood. I don't think I'll ever be able to go back." (ZNDA: Baghdad) In the northeast of Iraq there is a haven for Christian activity as the two rival Kurdish governments grow in their toleration of Muslims becoming Christians; in the south, the evangelical church is growing rapidly. In Baghdad, a total of 15 evangelical congregations have started since the removal of Saddam Hussein’s regime in April 2003. Officially, only two evangelical churches -- both Presbyterian and led by Egyptian nationals -- existed in the capital during Hussein’s rule. Now there are Baptists, Methodists and Christian and Missionary Alliance congregations, all led by local Iraqi pastors. Most of the members of the new churches come from the Presbyterian church, and some come from historic Christian denominations such as the Chaldean Catholic or Syrian Orthodox, which have been in Iraq for centuries. Southern Iraq is deemed too dangerous for foreign Christian workers, so most have pulled back to the more stable Kurdish region. More than 4 million Kurds reside in this northern mountainous region, which has enjoyed autonomy since the first Gulf War in 1991. Two Kurdish political factions control the area. Arbil is the main city of the domain of Massoud Barzani’s Kurdish Democratic Party, and Sulemaniya is the power center of newly elected Iraqi President Jalal Talabani. In both regions, Kurdish refugees are flooding back; there is little street crime and authorities have severely curtailed the activities of Islamic extremists. This has brought much prosperity to the area, which many believe is one reason the respective administrations -- in their courting of Western investment -- have markedly improved their defense of religious freedom. Congregations of the Kurdish Evangelical Church have a few hundred members, from both Muslim and Christian backgrounds. Matty runs four bookshops, two schools and other projects, and he received a $500,000 plot of land from the government to build his church. The government also has welcomed other Christian non-governmental organizations. The other evangelical denomination in the north is the Kurdish Language Evangelical Church, which is exclusively Kurdish-speaking and made up primarily of Kurds. The influence of the Kurds, who represent 25 percent of the Iraqi population, is important to the future of the country. President Talabani has less power than the Shiite prime minister, but some Christian leaders believe that the best bulwark against a strongly Islamic constitution may be the influence of the Kurds. Though Sunni Muslims, the Kurdish people are one of the least observant Islamic groups in the Middle East, and they regard the Arabs as having humiliated them for decades. Bishop Issac of the Church of the East in Dohuk said that he believes the Kurds will keep the constitution from becoming too Islamic. The news is not all positive, of course. Iraq remains a country in crisis. At a recent conference for 70 Iraqi pastors, all had to travel early in the morning to avoid trouble on the roads. And although they emphasized that the streets gradually have become safer since the beginning of the year, church meetings throughout the south are held at 4:30 in the afternoon -- with everyone at home behind locked doors by 7:30 for fear of insurgent and looting activity. Law and order still has not been adequately restored, nor have basic services. Patience has run out with U.S. and British forces’ failure to restore stability after two years in the country. “No population will support an army that cannot protect it -- the goodwill has completely gone,” one pastor said. Middle-class Christians also are continuing to emigrate in alarming numbers, as those in key professions such as medicine are targets for kidnapping and extortion. Some newer evangelical churches have been decimated by this exodus. The Iraqi churches also face internal challenges, some priests from the historic churches have bullied the new evangelicals. In Baghdad, a priest from the Chaldean Catholics told those who had left his church to attend Baptist services, “We will not bury your relatives who attend our churches.” Some leaders of the older church denominations have slandered evangelical congregations as part of a “Jewish conspiracy” to control Iraq. Some church leaders see the splitting of the evangelical churches into so many new (and often foreign-backed) denominations as an indication of disunity, noting that not all missionary aid is well spent; some pastors have used foreign support to buy expensive cars and upgrade their lifestyle, leading to envy among other pastors. Yet for all these challenges, the mood among 70 evangelical pastors who gathered during the spring was guardedly optimistic. “One, the evangelical church will grow stronger, but many of its numbers will leave. However, that’s not so bad. They will probably come back with more teaching and maturity and it will benefit the church in the long term. “Two, the historic churches will get even more negative. I see them as the major persecutor of the evangelicals in the future. It is as it always was. I am translating a book called ‘The Trial of Blood’ which calculates that the institutional churches killed 50 million Christians from 315 to 1570. He was taken to meet the leader and introduced himself as a pastor. This was the opening Thomas had been praying for. He told the sheikh, “If you respect Jesus, would you let me read you His words?” He took out his Bible and read the words of Jesus from John’s Gospel, “I am the light of the world.” Then he brought out the cardboard with the death threat. The sheikh read it and looked ashamed. He said, after a moment’s pause, “We are sorry. This will not happen again. You are my brother. If anyone comes to kill you, it will be my neck first.” The sheikh even attended Thomas’ ordination as the pastor. (ZNDA: Fallujah) After fleeing from his native Iraq in 2001 and embarking on a journey, which took him through five different countries and eventually to the United States as a refugee, an interpreter with II Marine Expeditionary Force, Headquarters Group, II MEF (Forward), has returned home to aid Marines in the rebuilding process in the city of Fallujah. Johnny, a name he uses in place of his birth name to keep his identity hidden, works in the S-4 shop of the II MHG headquarters office, translating documents and helping bridge the communication gap between Marines and local Iraqis. Born in Baghdad, Johnny had a passion for cooking, which led him to attend culinary school in Al Qanat, Iraq. Upon his graduation from the school he was required to fulfill a mandatory military service, putting his personal plans of working as a chef on hold. 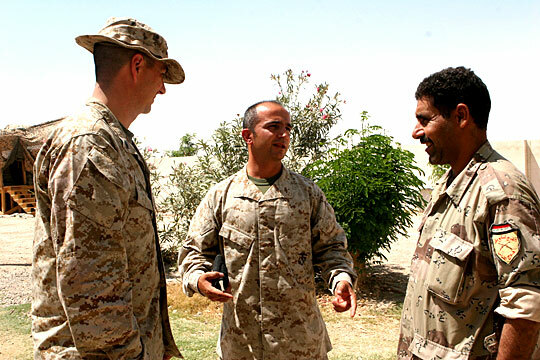 Johnny, an interpreter with II Marine Expeditionary Force, Headquarters Group, II MEF (Forward), returned to Iraq April 30, 2005, after fleeing to the United States as a refugee in 2001. Working in the S-4 office, Johnny translates documents and helps bridge the communication gap between Marines and local Iraqis. U.S. Marine Corps photo by Lance Cpl. Evan M. Eagan. During his time in the service, Johnny was part of a recon unit during Operation Desert Storm in the early 90s, and fought in northern Iraq against the Iranians and Kurds. After five years and eight months, Johnny was released from duty and he decided there were not many opportunities to better his life in Iraq. After a run-in with a federal agent under Saddam's regime, he decided it was time to leave the country and go to the United States. As a result, Johnny was taken to prison, where he was interrogated and tortured because the agent said he was talking bad about Saddam's regime. Although his brothers posted his bail 12 days later, he vowed he would get out of Iraq and make a better life for himself no matter what he had to do. When he got out of prison, Johnny obtained a fake passport and fled to Jordan, where he bought a fake visa in order to take a flight to Yugoslavia. From Yugoslavia he walked across the border to Hungary with a small group of people. Johnny met with the consular at the U.S. Embassy in Vienna, Austria and told him his story. Shortly after arriving in the United States, which Johnny refers to as his rebirth, he found a job in a bakery working with two of his cousins. From the end of 2002 until late 2004, Johnny studied English, through college classes and conversations with co-workers, until he heard about an opportunity to work in Iraq as a translator for the U.S. military. After six months of screening, Johnny was chosen for the position. Arriving in Iraq April 30, he is proud to be back to see how his country has improved. Looking back on his long road to the United States, and back to Iraq, Johnny said he has no regrets. (ZNDA: Washington) Congresswoman Anna Eshoo (D-Palo Alto) on 20 July offered an amendment to H.R. 2601, the Foreign Relations Authorization Act, to protect indigenous Christians in Iraq from continuing religious persecution and political exclusion. The amendment unanimously passed the House by a voice vote. "Iraqi Christians welcome the opportunity to move beyond the days of repression and persecution," said Eshoo. "They wish nothing more than to be able to fully cooperate and participate in the development of a democratic, pluralistic state, and the commitment provided by this amendment gives them great promise." Eshoo's amendment urges the departments and agencies of the U.S. Government to pay special attention to the welfare of ChaldoAssyrians - an ancient population that predates current Iraqi inhabitants - and other Iraqi Christians, including Chaldeans, Jacobites, Armenians, Assyrians, and Greek Orthodox Christians, who have been the subject of great harassment and intimidation even after the fall of Saddam Hussein. The amendment also calls on the President and his administration to work with the United States Agency for International Development (USAID) to dedicate funding for the promotion of welfare and education, as well as the resettlement for these minority groups in Iraq. "These groups receive a disproportionately small share of the reconstruction and developmental resources available, which in turn has spurred the emigration of as many of 80,000 Iraqi Christians since liberation." Despite the huge number of Iraqi Christians who have fled the region, there are approximately 1 to 1.5 million Christians remaining in Iraq. They primarily reside in the Nineveh Plain in the north near Mosul, in villages that can trace their history back over 2,000 years. "ChaldoAssyrians and other native Iraqi Christians are not only being ostracized and repressed, they are also being kept from their homes," said Eshoo. "Protecting the rights of minority groups and ensuring that all individuals in Iraq - regardless of religious affiliation or ethnic background - are given the tools they need to succeed, is critical to establishing a fully-functioning and sustainable democracy." 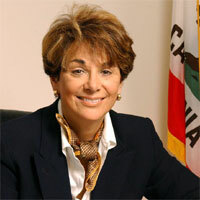 Congresswoman Eshoo has served in the House of Representatives since 1993. She is currently the only Assyrian-American member of Congress. Mr. Speaker, I rise today to offer an amendment expressing the Sense of the Congress that our government should recognize the unique challenges facing Iraq's indigenous Christian communities, including the Chaldeans, Jacobites, Armenians, Assyrians, and Greek Orthodox Christians. I'm a first generation American, of Assyrian and Armenian descent. My grandparents fled their ancestral homeland in the early part of the 20th Century. In fact, my mother received her first communion in Baghdad in 1919. I'm the only Assyrian-American serving in Congress today, and only the second to serve here in our nation's history. The first was Congressman Adam Benjamin of Indiana, who passed away at a young age in 1982. 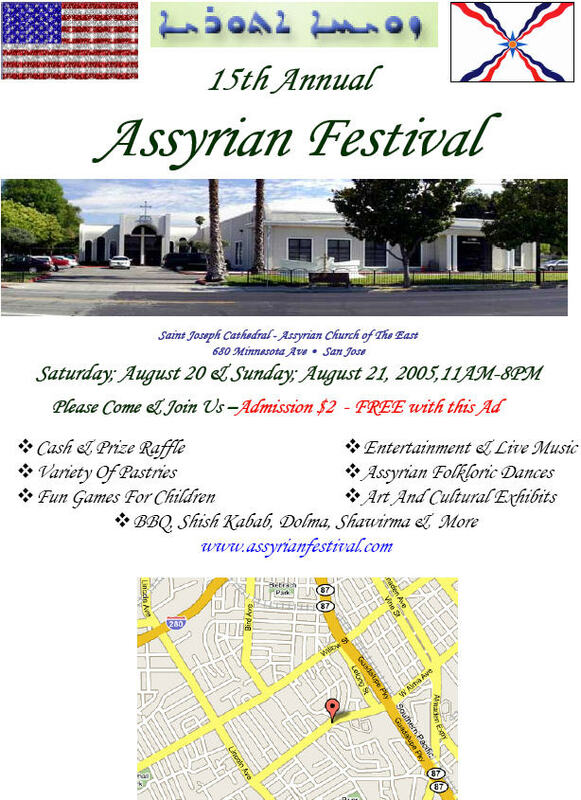 There are approximately 250,000 Assyrian-Americans in the United States, representing the largest population of Chaldo-Assyrians outside Iraq. All Chaldo-Assyrians are Christian, and because they are, they've been subjected to brutal persecution in their homeland. Today, there are 1 to 1.5 million Christians remaining in Iraq, mainly in the Nineveh plain in the North around Mosul. They live in villages that can trace their history back over 2,000 years, a large number of which, because of their geography, have now come under the authority of the Kurdistan Regional Government. Among indigenous Iraqi Christians, the Chaldeans represent the oldest rite under Rome. Along with Assyrians who worship within the Holy Apostolic Catholic Assyrian Church of the East, they represent the oldest surviving Christian population in the world and one that without help during this critical transition period, could be on the brink of extinction. These communities have welcomed the opportunity before them since the fall of Saddam Hussein's regime to move toward greater prosperity and stability by cooperating in the development of a democratic, pluralistic state. Unfortunately, religious and ethnic tensions, as well as discrimination continue to plague these Christian communities. I continue to receive troubling reports from religious leaders indicating that Iraq's Christian population is not receiving their fair share of development assistance. Because they are such a small minority, the indigenous Iraqi Christian population has one independently elected ChaldoAssyrian in the entire Iraqi National Assembly, Younadam Kanna, a man whom I've met with and hold in high regard. Within the Kurdistan Regional Government in Northern Iraq, representatives from Iraqi Christian communities hold only 5 out of 105 seats. 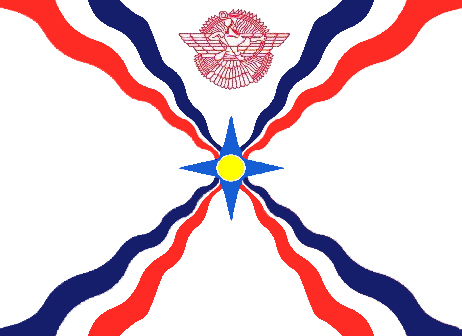 Because the Assyrian community is a very small minority in Iraq with one representative in national politics, funding for reconstruction, housing and education are parceled out to those who control the villages and regions where they reside, without sufficient transparency to ensure the proper parity. The visible result of these misallocations has been the emigration of as many as 80,000 Iraqi Christians since the fall of Saddam Hussein's regime alone. The majority of these individuals, approximately 50,000, have fled to Syria, while others have spread out to Jordan, the Gulf Emirates, and Turkey, all living in desperate circumstances as refugees from their homes. This ongoing exodus is deeply disturbing, and unless action is taken now to address the pressing needs of these indigenous Christians, we may well witness the complete loss of the Iraqi indigenous Christian community. If a fully-functioning and sustainable democracy is to emerge in Iraq, the basic rights and needs of all minority groups must be safeguarded. My amendment seeks to affirm that commitment by ensuring that all relevant U.S. government agencies and departments pay special attention to the needs of this minority and ensure that they will continue to reside and thrive in their ancestral homeland. Many of my Colleagues are aware of the targeting of Iraqi Churches by the insurgents which was reported on the front page of the New York Times last August as another attempt to divide the Iraqi people and further drive Iraq's Christian population from their homes. I'm grateful to our military who are trying to provide security for these communities under attack. I also want to bring to my Colleagues' attention another report published in yesterday's San Francisco Chronicle. The headline is "Iraqi Christians find safety in Syria, Religious violence prompted many to flee homeland," and I ask unanimous consent that this report be entered into the record. Dated just yesterday, it details this pressing problem in tragic detail, and is a clear indicator that this is a problem that requires our fullest attention. I urge my colleagues to support my amendment and I reserve the balance of my time. 1. We reaffirm that there will no longer be a variety of names to divide the Assyrian people, but all will be referred to as ASSYRIANS. 2. We congratulate the newly established government in Iraq and we encourage them to bring forth a democratic and secular constitution. 3. We demand that the government of Iraq recognize the Assyrian people as the Indigenous people of Iraq. 4. We demand that the government of Iraq recognize and include the Assyrian Nation constitutionally as a third principal nation within the political frame of the Republic of Iraq. 5. The constitution of Iraq must stress that Iraqi people be comprised of Arabs, Kurds, Assyrians, Turcomans, and others. 6. The political, cultural, and administrative rights of the Assyrians must be included in the new Iraqi constitution under the protection of the United Nations. 7. The government of Iraq must grant to the Assyrians an Assyrian administrative region on the land of their ancestors located between the Greater Zab and Tigris rivers under jurisdiction of the central government of Iraq. 8. The constitution of Iraq must state a quota for Assyrians based on the Iraqi census of 1957 guaranteeing their proper representation in the National Assembly and the government through representatives chosen by the Assyrians. 9. The government of Iraq must provide security for the Assyrians preventing massacres, assassinations of political and religious leaders, and exodus. 10. Assyrians must be allowed the right to return to their homes and villages in Iraq. 11. The government of Iraq must take measures to ensure the restoration of Assyrian villages and churches. 13. The government of Iraq must ensure the allocation of an equitable share of the distributed national revenues for the Assyrians. 14. The government of Iraq must ensure that reconstruction aid be allocated on an equitable basis. 15. The forthcoming census of Iraq must deal with the Assyrian refugee issue. 16. To safeguard the rights of the Assyrians, all Iraqi elections and censuses must be monitored by international and human rights organizations. 17. The government of Iraq must take appropriate measures to protect the Assyrian archeological sacred and historical sites; in particular to prevent the building of the Makhoul dam which will permanently bury the valuable remains of the ancient city of Ashur. 18. We request that the Turkish government provide security for repatriating Assyrian families returning to their homes. 19. We demand that the government of Turkey formally and officially recognize the genocide of the Assyrians, Armenians, and Pontic Greeks during World War I. 20. We appreciate the concerns and help that have been provided to the Assyrian Iranians by the government of Iran and ask that the democratic process continue in the future. 21. We demand that the government of Syria immediately release the Assyrian prisoners of the Hasaka incident and bring to justice those responsible. 22. We request and encourage the government of Syria to increase the political and cultural rights of the Assyrian people and to support Assyrian institutions and organizations. 23. We welcome the withdrawal of Syrian troops and intelligence from Lebanon and we welcome the recent parliamentary elections in Lebanon. We have trust in the Lebanese people’s capability to improve their system of government to be a model of democracy. We demand that the Lebanese government include the rights of our people in administrative and governmental institutions. 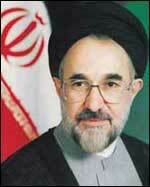 (ZNDA: Tehran) Islamic Republic of Iran's President Mohammad Khatami said on 9 July that co-existence and mutual respect bring blissful life. In a message to the 24th Congress of the Assyrian Universal Alliance held in London, President Khatami said that the world becomes beautiful with freedom of thought and that extremism and prejudice are not appropriate for human beings. Iranian MP representing Assyrians and Chaldeans, Mr. Yonatan Bet-Kolia, delivered President Khatami's message to the Congress. "The 24th Congress of the Assyrian Universal Alliance in London is a good opportunity to express my love for Assyrians across the world and especially to my fellow countrymen from the same faith," President Khatami said. "What we should consider with insight in the rapidly changing world away from religious affiliations is that we should refrain from narrow-mindedness and short-sightedness which bring nothing to humanity but spoiling the international community. The world is beautiful with all thoughts," he said. "We, all the human beings share the concept of humanity so that we should foster co-existence and mutual respect and get rid of radicalism and prejudice, because they do not deserve to be part of the character of human beings," President Khatami said. "Since its advent in Arabian Peninsula, Islam has accepted other civilizations and cultures and undertaken important role in the interactions among different cultures and civilizations, an example of which is co-existence of Muslims and Assyrians in Iran." President Khatami said that all messengers have propagated religions in line with circumstances of their own period of time adding that Muslims and Christians enjoy strong affinity and common grounds in faith and beliefs. "Islam calls Christians as monotheists and invites both Muslims and Christians to live together and make efforts to remove their differences." President Khatami recalled the year 2001, the year of Dialogue of Civilizations, designated by the United Nations as per a proposal to that effect by the Iranian president and said that the idea has its roots in Islam. (ZNDA: New York) Human Rights Watch has announced that the Hellman/Hammett Grants were awarded to 27 writers among whom is an Assyrian from Iran, Mr. Assurbanipal Babilla. Each year, Human Rights Watch awards Hellman/Hammett grants to writers targeted for expressing views that the government opposes, for criticizing government officials or actions, or for writing on topics that the government does not want reported. Human Rights Watch administers the Hellman/Hammett grant program for writers all around the world who have been victims of political persecution and are in financial need. The grants are financed by the estate of the playwrite Lillian Hellman in funds set up in her name and that of her long-time companion, the novelist Dashiell Hammett. The two American writers were interrogated in the 1950s about their political beliefs and affiliations; Hellman by the House Un-American Activities Committee and Hammett by Wisconsin Senator Joseph R. McCarthy, whose communist paranoia helped fuel nearly a decade of anti-communist "witch hunts." Hellman suffered professionally and had trouble getting work for a number of years. Hammett, spent time in jail. The grants are awarded every spring after the nominations have been reviewed by a seven-member selection committee composed of authors, editors, and journalists who have a long-standing interest in free expression issues. The Hellman/Hammett program began in 1990. Since then, more than 400 writers from 88 countries have received grants. The grants are awarded every spring after nominations have been reviewed by a selection committee composed of authors, editors, and journalists who have a longstanding interest in free expression issues. Assurbanipal Babilla is a painter and playwright, was one of three resident directors with the Drama Workshop of Tehran from 1973 to 1978. He fled to the United States in 1979 after the Iranian revolution because as a member of the Assyrian minority group he felt vulnerable. Both his plays and his paintings dealt with controversial material. This put him doubly at risk from the new conservative Islamic government. In 2004 Mr. Babilla's acclaimed drama in two monologues, Assyrian Monkey Fantasy, went on stage in New York and was featured in Zinda Magazine (click here). According to the Human Rights Watch Mr. Babilla currently works part-time in a coffee shop and lives in a church shelter for homeless people. (ZNDA: Auckland) Patriarch of the Chaldean Catholic Church, Mar Emmanuel Delly, urged Catholics to pray for peace, especially in Middle East countries during his visit to New Zealand last week. About 600 Chaldean Catholic families, friends and invited guests joined the patriarch at the opening of the first Chaldean church in New Zealand, St. Addai the Apostle Church in the Auckland suburb of Papatoetoe. Almost all of New Zealand's Chaldean Catholics emigrated from Iraq, and during the July 15 Mass, the patriarch urged those in attendance to be loyal subjects, law-abiding citizens and commit to the law and morals of New Zealand. "You must feel proud to contribute to a country that provided you a home when your own country neglected you and caused you to leave it," he said. The patriarch called the consecration of the new church "an occasion where everyone is called to be a temple of God." Ramona Amiri, 24, winner of Miss World Canada 2005. (ZNDA: Ottowa) Ms. Ramona Amiri, representing Vancouver, Canada in this year's Miss World Canada contest was crowned the winner on Saturday, 16 July. Facing 29 other young women from across Canada, the 24-year-old Miss Vancouver passed through gown, swimsuit and fitness competitions, an interview, fundraising and answering an impromptu question on the stage. Ms. Amiri, 24, is a graduate of the University of British Columbia, majored in Biology, and plans to become a dermatologist - as is her mother. She graduated on the Dean's Honor List at 20. She speaks English, French, Assyrian, Persian and some Spanish. Her hobbies include cooking, reading, fashion, riding motorcycles and belly dancing. She will be representing Canada in this year's Worldwide event in China. To view an exclusive Zinda presenation of Ms. Amiri's photos click here. Doraid Toma, 35, was gunned down July 13 while on a sales stop at the T&M Liquor store in City Heights. Toma was buried Tuesday. His killer remains at large. (ZNDA: San Diego) Doraid Toma, 35, was gunned down July 13 while on a sales stop at the T&M Liquor store in City Heights, a district of San Diego, California. Toma was buried Tuesday. His killer remains at large. "Glad to see you guys back," Noemi Madrigal, a City Heights resident, told a clerk yesterday at T&M Liquor. The popular convenience market on El Cajon Boulevard reopened a week after a gunman walked inside and with no apparent warning shot and killed a salesman July 13. Yesterday, the store again teemed with customers, most offering condolences, handshakes and well-wishes. Madrigal, a frequent shopper, was greeting the clerk who also worked the afternoon of the shooting. He wore a flak jacket yesterday under his shirt, however. The killer has not been arrested. "This is my community and my neighborhood," the clerk said calmly. "Twenty years I've done this job. They're not going to scare me." He said he was happy about reopening, while sad at having lost a good friend that day. The clerk, an Iraqi Chaldean who immigrated in 1985, declined to give his name because he does not want to jeopardize his five children. Last week, a man wearing a black hooded sweat shirt entered the store about 4:45 p.m. and shot and killed Doraid Toma, 35, a salesman of candy, batteries and tobacco. The man fired at the clerk, too, but he ducked behind the counter. Toma, a member of the local Chaldean community, was buried Tuesday, and the store reopened Wednesday. San Diego police detectives said yesterday that rewards totaling $10,000 remain. Asked if he feels safe for his workers and customers while the shooter remains free, the store's owner, Ramzi Salem, said, "It would be more relaxing if we could put this person behind bars." Salem said he is heartened by the community's response. Two dozen cards left outside when the store was closed are posted on a wall above condolence bouquets of flowers. The store, which also sells many basic groceries, including some produce and eggs and home-cleaning and personal-care products, is a routine stop for many, a place where clerks easily switch from speaking English, Spanish or Arabic. "After 22 years of building relationships, it pays off," Salem said of the well-wishers and customers. "I wish it could be under different circumstances." He said he also is buoyed by police detectives' efforts and offers of additional assistance now that the store has reopened. But Salem declined to talk about investigators' plans. Investigators said hours after the slaying that they believe the assailant may be the same man who tried to rob the store the previous night. He had his shotgun wrested from him by two T&M clerks, leading police to believe the killing might have been motivated by revenge. Investigators said the shooter also might be the same man in a dark hooded sweat shirt who robbed a different liquor store, a video store and a market this month. James Tulumello, the San Diego police liaison officer for City Heights, said at a meeting last night of the Teralta West Neighborhood Alliance, which Salem attended, that police have leads, adding, "We're going to get him." Tulumello declined to discuss specifics of the police efforts. He told the gathering of the department's interest even before the shooting in installing surveillance cameras along a stretch of El Cajon Boulevard. In the store yesterday afternoon, eight days to the hour of the shooting, customers seemed comfortable, buying soft drinks, cigarettes and liquor or getting a check cashed. Madrigal, who was shopping with a friend's two small children, said she feels safe with people milling about. A second clerk manned the register, and men were stocking shelves. Even with the shooting, Salem said he is committed to his store. He imagines it as evolving to meet the interests of a community that gradually is becoming more affluent. Noting a wall of alcohol selections that include upscale wines, even champagne, he said he was considering adding a section of hot, prepared foods. (ZNDA: Turlock) Tenants of apartments owned by the Assyrian American Civic Club are causing many of the problems they complain about, said club president William Julian. The 11 tenants have been served eviction notices. "Ever since (they received notices) they are very mad about it. They break all the windows, they put the garbage outside the office," Julian said. Complaints about the apartments triggered an investigation by Stanislaus County Environmental Resources. The 26-unit apartment complex at 2700 Golden State Boulevard was once the Lucky 7 Motel. It was sold to the Civic Club in 1996. Residents pay between $285 and $400 a month for a small room, bathroom and closet. In an interview last week, residents who wish not to be identified said they knew they were going to be evicted for demolition, but did not mention having received notices. Neither did Julian or anyone affiliated with the Civic Club. Julian said this has been going on for more than a week, but does not know the exact date residents were handed eviction notices. The apartment manager was unavailable Friday. "They break the bathrooms and then want us to fix it," he said. "We are trying to clean this place up. We have had a lot of problems." Julian referred to previous drug situations and police having to respond to residents' behavior on several occasions. "We are not taking advantage. (The tenants) have had a grudge," Julian said. Residents beg to defer, saying they have been requesting that cracked pipes, faulty wiring and broken restrooms be fixed for months. "We keep telling them to fix things, but they don't care," an apartment resident, who is a senior citizen, said. Julian said that the AACC has been losing money with the apartment investment. He used the installation of air conditioners in each room as an example, saying that residents would "lose" the $400 piece of property and need another one. Stanislaus County Environmental Resources officials have looked into the residents' complaints and recently asked the City of Turlock's Building Division and Fire Department to help with investigation. According to Mike Newton, manager of environmental resources, property owners are responsible for maintaining the property according to state standards even if eviction notices have been given. If they do not fix the property, they are responsible making sure the residents are taken care of. "They are responsible for finding these people places to live if they are living in substandard conditions," Newton said. AACC members are hoping to demolish the property soon and build something new, such as a Sunday school for the Assyrian church, Julian said. An investigation will take place within the next two weeks. I would like to thank you for the great work you’ve been doing for our people on weekly publishing the Zinda Magazine. I’ll give you a brief history on our new sports organization ACANA. • To serve ChaldoAssyrian athletes and athletic teams in North America. • To be self-governed & be financially self-sufficient. • To promote and enhance athletes and teams. • To help and promote unification of teams/individual athletes and their issues. • To serve our members in providing for the development, promotion, supervision, and administration of all sports activities. • To act as agents for teams and athletes. • To provide a place to exchange ideas in order to improve ourselves. These tournaments serve as a unification of the players and as a venue to discuss matters dealing with the clubs. We have accomplished and held a couple of very successful sport tournaments in the US. So far this year we had our Kha-Bnissan or Akitu Tournament in San Jose, California. The Detroit Chaldean Soccer Club was the winner in soccer defeating the Assyrian soccer club of San Jose. We also just finished our CAN/AM Tournament which is the Canadian/American tournament that was held in Detroit on the 4th of July weekend. Again the Detroit Chaldean Soccer Club was the winner defeating the Nineveh Star Sports Club of Toronto. We are in the process of holding our International Tournament in Chicago in September. This and any ACANA tournament is open to all Assyrian/Chaldean teams that would like to participate and enjoy our sports. For a complete photo album of the latest CAN/AM Tournament held in Detroit, MI on the 4th of July weekend and the Akitu Tournament in San Jose, please click here. in the mid-70’s, are well worth a word of “Chaibo”.. I, personally – and most certainly many others in our community - greatly appreciate Eddie’s performances. Bravo! Founders, i.e. by totally avoiding to mention anything about, or the name of, our great teacher, the late Rabi Yacoub Bet Yacoub, the Principal of the Union School of Hinaidi, and later, Habbaniya, in the 1930’s to the late 1950’s. In my opinion - and as one of his former students - Rabi Yacoub, with his impeccable and admirable modus operandi of skillfully managing and running a school, merits the highest honor. Actually, Rabi Yacoub established his first school in Baquba, Iraq in 1919 upon the request of the British. Under Rabi Yacoub’s personal supervision, our classes included several subjects of study, such as a perfect and strictly enforced English language, followed by Bible studies and the beautiful Assyrian language, as well as math, algebra, music, drama and, of course, sports. I recall taking part in two of the several dramas that Rabi Yacoub translated into Assyrian from William Shakespeare’s “The King and I” and “Othello”, which we performed on a makeshift stage in the school. Not to mention the soccer games we played bare footed (He said this will reinforce your heels to walk barefooted on hills and mountains, in time of need!). His good manners, ethics and disciplinarian style, did indeed, have a profound effect on the life of his students who, until this day, cherish those memories. I could go on and on reciting many other instances of the indefatigable efforts of the late Rabi Yacoub, but I will stop short due to limited space. Suffice it to mention, however, for all to look around at the status and achievements of the former Habbaniya Union School students; for their knowledge, skills and organizational capabilities, all gained under the tutorship of the late Rabi Yacoub Bet Yacoub. Unquestionably, he was, and still is, may I truly say , INDISPENSABLE.! He deserves mention in our annals of history as one of the best – if not the best – of the Assyrian School Founders! This is a response to Mr. Mikhael Pius' article issued in Zinda magazine on July 13, 2005 about Assyrian school founders. 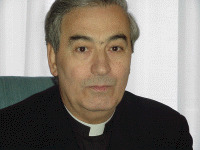 I do apologize to Mr. Pius that I did not mention Rabi Yacoub and Rabi Espania in my article “Father George Bet Rasho” which was posted on June 29, 2005. Both were great educators as my father mentions in one of his books. Rabi Yacoub did not establish school in Baquba camp as Mr. Pius reported, but rather the British administration established it. The headmaster of it was Rabi Yokhanan De Baz. Please refer to my father’s autobiography book published in 1980, Chicago. Page 19. The schools at camp Hinaidi and Habbaniya were also established by the British administration. Yes indeed, the photos Mr. Pius displayed in Zinda Magazine clearly showing the teachers and the students were all well dressed and well fed, thanks to the British administration. Opposite of that was the school where my father’s cousin, Reverend Odisho Beth Benyamin established it in Sarsank, northern Iraq in the same period. My argument with Mr. Pius is not about great teachers, but about the school founders. Did I mention my father’s name on the list? No, Of course my father was considered to be “Father of all teachers”. The school founders I mentioned established schools with their sweat, tears and hard work, the schools were established by the Assyrians, and for the Assyrians. I worked hard to establish the school at Mar Sargis Church. I was wondering how much reverence and respect one has to offer to the office of the Patriarch? During consecration, the following passages are being read from Matthew (16: 13-19) and John (21:15-17), which talk about the keys of the kingdom of heaven and Peter’s love and his duty as a Shepherd. Patriarch Timothy II, in the Synod of 544 in the 14th law, explains the church duty to guide people toward salvation. And in return believers must obey the authority of the church, who is the Patriarch, because he is chosen by the grace of the Holy Spirit. The following passage reassures Timothy’s statement because Jesus Christ refers to his disciples saying, “You did not choose me, but I chose you and appointed you to go and bear fruit – fruit that will last…” (Jn 15:16). Now having said that, I would like to explain why it is improper to criticize and spread propaganda against the office of the Patriarch. To set the facts straight we can’t speak against the Patriarch of our beloved church and claim that we are loyal members. In the book of Acts Paul said, “Brothers, I did not realize that he was the high priest; for it is written: ‘Do not speak evil about the ruler of your people.’” (Acts 23: 5). Paul wrote to Romans, “For I can testify about them that they are zealous for God, but their zeal is not based on knowledge.” (Ro 10:2) What is the source of knowledge and wisdom? David in his Psalms wrote, “The fear of the Lord is the beginning of the wisdom.” (Ps 111:10). Based on the Council of Mar Dad-Isho Catholicos Patriarch (423-424), no one is allowed to criticize the head of the church; even an Archbishop can’t criticize him. Then how about you and me? Do you want to know the reason? One of them is for the unity and strengthening office of the Patriarch. Once again, Jesus said, “If a house is divided against itself, that house cannot stand.” (Mk 3:25). Let’s look at all these divisions and problems that Assyrian people are facing today; one might trace most of them back to some individuals that didn’t want to follow or obey this simple fact. Remember the fifth commandment, “Honor your father and your mother, as the Lord your God has commanded you, so that you may live long and that it may go well with you in the land the Lord your God is giving you.” (Dt 5:16). In this passage, there is a promise of prosperity in respecting our parents, and in the same token there are advantages in obeying our spiritual leaders as well (Heb 3:17). Paul in his epistle to Hebrews wrote, “Remember your leaders, who spoke the Word of God to you. Consider the outcome of their way of life and imitate their faith.” (Heb 13:7). “Obey your leaders and submit to their authority. They keep watch over you as men who must give an account. Obey them so that their work will be a joy, not a burden, for that would be of no advantage to you.” (Heb 3:17). In another passage, Paul wrote, “Now we ask you, brothers, to respect those who work hard among you, who are over you in the Lord and who admonish you. Hold them in the highest regard in love because of their work. Live in peace with each other.” (1 Th 5:12-14). “Patriarch Mar Dinkha IV is following the policy adopted by his predecessor Patriarch Mar Eshai Shimun after a long period of experience following the First World War (1914-18)…. He learned the lesson and claimed only spiritual powers and asked the Assyrian people to submit politically to the powers ruling over them. Patriarch Mar Dinkha IV has no ambition to be the King of Assyria. He is not working for gaining political position. He knows that his role is that of a spiritual father. He tries to fulfill that role advising his followers to be loyal. He has seen a lot of bloodshed…. He uses caution when somebody asks him to play politics. One may accuse him as a silent Patriarch. He knows to be silent when it is wiser to be so. His Holiness Mar Dinkha IV has proved to be prudent.” (Patriarch Mar Dinkha IV, 2004). I was under the impression of being a resident of a free and democratic country, for the past forty-two years. All of a sudden, all that has changed when I glanced at a HR-2601, with its Amendment to Foreign Relations Authorization Act for FY 2006 and 2007, presented and passed on the Floor of the Congress uncontested, by Representative Anna Esho (D-CA), on July 20, 2005. As far as my recollection goes, we are in a dire struggle for our identity, dignity and recognition, as people, rather than being labeled as many of the tyrants, we are in process of eliminating, were trying to make amends to all that. It is utterly beyond consensual limitations that Rep. Esho has dared to humiliate our ethnicity, our heritage, our nationality and our dignity for some sort of personal political gains. Rep. Esho has echoed servility by injecting a religious nomenclature into the oldest civilization, if not the oldest, on earth. Rep. Esho has ostensibly derogated a nation Assyria, by inserting it into the U.S. House Rules Annals as ChaldoAssyria. In one of the numerous paragraphs of her Amendment, Rep. Esho states: "There are approximately 250,000 Assyrian-Americans in the United States, representing the largest ChaldoAssyrians outside of Iraq." Another paragraph reads: "...The indigenous Iraqi Christian population has one independently elected ChaldoAssyrian in the entire Iraqi National Assembly,..."
Yet, in another paragraph she is asking for the US Congress and Government to recognize the unique challenges facing Iraq's indigenous Christian communities, including the Chaldeans, Jacobites, Armenians, Assyrians, and Greek Orthodox Christians. The rampant fallacies are evident in all three paragraphs. The first paragraph flagrantly violates the human rights, since there is no such entity as ChaldoAssyrian, on one hand, and not all Assyrians or those that choose ecclesiastic nomenclature and go by the name of Chaldeans, are Christians, on the other. A great many Assyrian nationals also happen to be atheists, and abhor to be denoted as Christians. This is despite of the fact that some also happen to be Moslem converts, either by choice or by the power of the sword. The second paragraph reshapes the whole nation as a religious entity, since it specifies that it was the "Iraqi Christians" and not the Assyria nation that has one independently elected ChaldoAssyrian in the entire Iraqi National Assembly. This paragraph is a mishmash of highest degree, merely beause the Chaldeans, as much as the Jacobites are ecclesiastic, whereas, the Armenians, Assyrians and Greek -- orthodox or otherwise, are nationals. But, it is the final and the most ostensible display that impedes a credo of inconceivable authority. That is the statement: "I'm the first generation Assyrian..."
Rep. Esho does not declare herself as being of ChaldoAssyrian descent, however, she, perhaps nonchalantly, and involuntarily brands all the Assyrians in the United States as ChaldoAssyrians. This labeling is reprehensible and insulting. 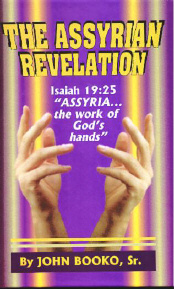 BE IT RECORDED: Assyria is a nation first and foremost above all religions. BE IT RECORDED: Assyrians of Iraq and Overseas chose their delegate to the Iraqi National Assembly as Assyrians, and not as Christians. BE IT RECORDED: That the Representative of Assyria in Iraqi National Assembly serves as Representative of Assyria, not as a Christian. BE IT RECORDED: That Assyria, or its derivative Assyrians are entered into the Annals of the House Rules instead of ChaldoAssyrians. BE IT RECORDED: That it is the Assyrians that have lived in and around the City of Mosul, for over 6,000 years, and not for over 2,000. BE IT RECORDED: That it is the Assyrians that are still living in the Plains of Ninewah, north of the City of Mosul, and not ChaldoAssyrians. BE IT RECORDED: That a Chaldean is a sectarian Catholic Assyrian, and does not differentiate in any part from his indigenousness as an Assyrian, excepting the religious deviation from his Assyrian brethren. BE IT RECORDED: That the Assyrians and other non-Moslem ecclesiastic Assyrians are not being persecuted purely on their religious grounds. BE IT KNOWN: That the Assyrians and their co-national ecclesiastic brethren are persecuted solely on the basis of their national hegemony, which is being seriously taken as a threat against the other dominant nationalities in all of Iraq, in general, and in the northern part of the country, in particular, on a consensus of fear that the Assyrians might seek geographically territorial boundaries in their ancestral habitats, just like their millennia-years-old neighbors, the Kurds are spearheading a movement to obtain a de jure recognition of their territorial integrity. BE IT FINALLY KNOWN: That the rigorous work of Rep. Anna Esho on behalf of the minorities is well recorded, and that this happens to be an unintentional and an incidental error of judgment. BE IT CONCLUSIVELY KNOWN: That this error in judgment is not a rule, but rather an exception, and was provided by the unsound advice of a group of people, substantiating the facts, on a politically induced mire. Best wishes, adoration, respect and wholehearted support has not taken a dive in any retrospect toward the work and the persona of Rep. Anna Esho, especially, by this writer. Zinda: Mr. Kakovitch is submitting this letter to all members of US Congress, both the Congress and the Senate, totaling 540 persons via email. A day of remembrance of all Assyrian-Chaldean victims killed throughout all wars. The event will also focus on the estimated 1,000 Assyrian-Chaldeans killed during the current Iraq war. I can’t understand the politically correct attitude toward extremist Muslims and their terrorist acts. Far too many Americans have forgotten where their loyalties belong and chant the misguided mantra of “understanding” - if we just understand the people of the Middle East better, peace would return. As a person whose family is from that region, I can confidently state that they’re all wrong. Dead wrong. Immense cultural differences separate the motivations of southwest Asians from Europeans and Americans. Just for starters, don’t confuse ethnicity with national identity. A huge percentage of Americans of Middle Eastern ethnicity do not identify their primary individual awareness with citizenship. Obtaining citizenship is merely a means to an end. That end is to make money (often to send “home”) and to transplant their culture. Many immigrants simply don’t assimilate. They raise their children without an American identity. Traditional dress, extreme facial hair and other indicators are only cursory indicators of this point. Being a former U.S. Army officer, I know the psyche of a people can often be determined by the way they wage war. Differing attitudes between European and Middle Eastern warfare has been caused by their general reasons for territorial expansion. Aside from Hitler and Stalin, Europeans sought to extend control over foreign lands and the people tied to them. This generally results in an increase in their tax base and a greater availability of trade goods. In short, wars made one rich and more powerful. Middle Eastern warfare has often been driven by religion and a scarcity of resources. Wars are waged to extend control over additional lands so a conquering people can exploit their resources. Existing populations have generally been an unwanted nuisance. Massacres and Genocides are not uncommon. This inherent predilection for extreme violence mixed with acquired fundamentalist Islamic teachings to produce a deadly environment. Jihad is a widely accepted practice espoused by the Prophet Mohammed in the Koran. Muslims are particularly dangerous because they believe those who die in support of jihad go to heaven immediately. Many extremists also believe that people who insult Allah or the Prophet should be beheaded. Am I painting the picture with an unrealistically broad brush? Nope. Let us not forget that more Christians died for their faith during the 20th Century than in any other. Most of the victims died at the hands of Muslims. My conservative patriotic fervor for traditional American values came through a variety of sources. The most powerful is the realization that my family would not exist if the United States had not taken us in during our hour of need. My grandparents fled their homes in Kharpert as Islamo-fascist Ottoman Turks slaughtered more than two million ethnic Armenians and Assyrians for being Christian. Attractive women and girls were frequently captured and forced into the sexual slavery of Ottoman harems. Few that didn’t convert to Islam were spared. Thank God for the United States and for the founding fathers that paid for a Judeo-Christian tradition of freedom with their property, blood and lives. We are constantly told to do the politically right thing. "Don't make remarks that are not politically correct," has become our national mantra. But in the process of doing the politically right thing we pay a heavy price for looking the other way. We ignore the truth. We pretend Evil does not exist because it is not politically correct to refer to any one group as Evil. I call this censorship in the land of the free. Those of us who come from the Middle East know only too well the real story. Islam will never change. Calls of jihad will never cease. No mater how many giant bandaids our American government places on the Middle East, it is not going to ³cure² the Middle East of its fundamental problem. Today, as the war rages on in Iraq, Christian Assyrians living in Iraq are still being targeted by Islam. Nothing much has changed in that regard from the Assyrian Massacres of 1914-1918. The bloodshed is the same. Only the dates have changed. 40,000 to 130,000 Assyrians have fled their ancestral homeland since the Iraq war. Assyrian churches, schools, businesses have been bombed. Lives have been shattered and no one takes notice. It is not politically correct. America looks the other way while Assyrian Christians are slaughtered to the chants of jihad on a daily basis. Sadly, Christians killed at the hands of Islam have become nothing more than a mere footnote in today's politics. Wake up America and do the politically and morally right thing. Recognize Evil for what it is. Author of "The Crimson Field"
Selecting a cover for my historical novel, The Crimson Field was an important undertaking. I knew exactly what I wanted and I knew that any hired artist could interpret my vision. But just any artist wouldn’t do. It was important for me to select an Assyrian artist. The idea of an International Book Cover Competition seemed to be the perfect vehicle to reach Assyrian artists worldwide. So with the help and the support of the Assyrian community, Assyrian websites worldwide and word of mouth, the news quickly spread. On the final day of the competition I received an unassuming package wrapped in brown paper. It was postmarked from Canada. I tore open the crude paper and inside I discovered a most striking interpretation of The Crimson Field. At once I could see that a lot of care and thought had gone into it. This was obviously the work of a very sensitive artist. I immediately dialed the phone number taped on the back of the painting. A few rings later a young male voice answered. “I’d like to speak to David,” I said. “That’s me,” he replied. I introduced myself and there was a moment of silence followed by a small eruption, “Oh, my God, did I win?” he asked, his voice trembling. “Yes, David, you won.” I’m fairly certain he didn’t hear much of anything else after that. And so it is my great honor and privilege to introduce the very talented Mr. David Daryawish as the winner of The Crimson Field International Book Cover Competition. 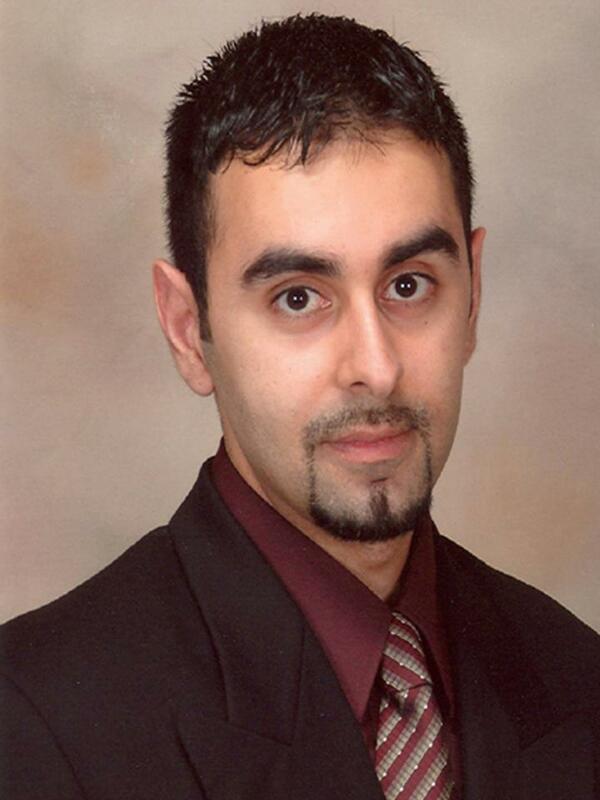 David Daryawish is a twenty-six-year-old Assyrian born and raised in Toronto, Ontario, Canada. 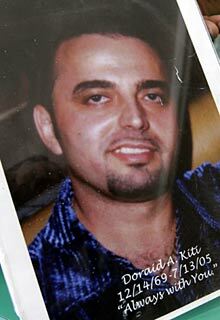 His father, Avia, was born and raised in Baghdad, Iraq, and his mother, Gracy, was born and raised in Abadan, Iran. David’s grandparents on both sides were from Mawana. David has an older sister, Kathyanne. The only artist in the family, David majored in 3D computer animation in college and since has been working as a freelance artist. He has a steady clientele for portraits, general designs, tattoos (really, tattoos), t-shirt designs, novel illustrations, business ads, business cards and greeting card designs. David’s interest in art began on his first day of school. “My stick figures were better than everyone else’s!” claims David. He still has a drawing of the Flintstones that was a very good likeness from when he was around five years of age. Always proud of their son, David’s parents have kept everything he has drawn from his early years. He remembers always drawing, but didn’t realize that he was an artist until he was in his teens. By his early twenties, David took serious interest in art. A self-taught artist, David’s preferred medium is air-drying clay, pastels, oils, tattoo, digital, graphite pencil, colored pencil and acrylic. He enjoys his freelance career, however, he is pursuing a career in animation. The style that best describes his work is realism, cartoon, fantasy and action. David has been involved in a sculpture project for the past four years and has currently completed twelve pieces. He is inspired by movies, his own imagination, science fiction and fantasy. “Art is a jealous mistress. I am driven to make art because I can and if I don’t, my conscience will harass me,” admits David. His advice for other young Assyrians who want to get into art is, “Above all, stay in school. Make goals, be persistent and believe. Practice, practice, practice. Challenge yourself. Mingle within the art community. Go to a special art school. Stay on course.” Great advice from a hard-working young artist. Most of all, David is a proud young Assyrian. He wanted to enter the Book Cover Competition because he believed that he could win. He also felt that an important novel needed a good cover. “Our Assyrian story deserves it,” says David. He was a little nervous about entering the competition but not because his work would be judged. More so about making the deadline! It took him a total of fifteen hours divided into three sessions to complete his entry. In order to interpret The Crimson Field into a cover, David studied my requirements and admits that the description at first felt dark and gloomy to him, but he knew that the message was about hope. He describes the overall painting as, “The sky couldn’t be blue. It would be too cheerful as would a brilliant sunset be the same. I couldn’t use pinks, otherwise the overall piece would look too red, because the field in also red. So I picked a stormy looking purple that would give a sense of gloom, merging at the horizon with a light yellow to add a feeling of beauty or hope. I could not interpret the meaning of the well, so I just left it alone. The angel had to be ‘protecting’ the young girl somehow, so I gave her an expression as though she were looking at the girl’s foot, to see where it would land. The blood on the angel’s wings could not be too gory, but it still had to be stained. The young girl needed innocence so her posture took away from the fact that she was walking in blood.” I can assure the readers that David accomplished his vision beautifully, but unfortunately, the cover will remain a secret until the unveiling in September at which time the book will be released. When I asked David what he would work on next, he laughed and replied, “A complimentary portrait of Rosie Malek-Yonan in oils as a thank you gift.” Well, David, it is I, who must thank you for a job well done. Thanks to all the Assyrian individuals, organizations, television programs and websites worldwide that carried the message of the competition and contributed to its success. I would also especially like to thank Assyrian artists, Claude Isaac Younan of Chicago and Aram Odisho of Sweden for their participation. Last but not least, I would like to express my gratitude to Zinda Magazine and particularly to Wilfred Bet-Alkhas for being such a huge supporter of the Book Cover Competition and The Crimson Field. Thank you for the continual recognition you give to Assyrian artists. I am forever grateful.